Currys PC World IE Vouchers, Discount offers and Free Gifts in April 2019. Redeem a Currys PC World IE Voucher from voucher-code.ie and get your benefit at currys.ie. 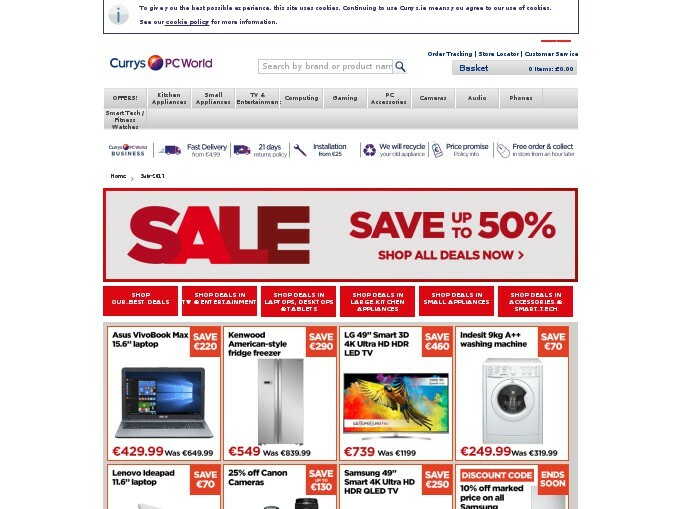 Never miss again a Currys PC World IE voucher or sale offer! 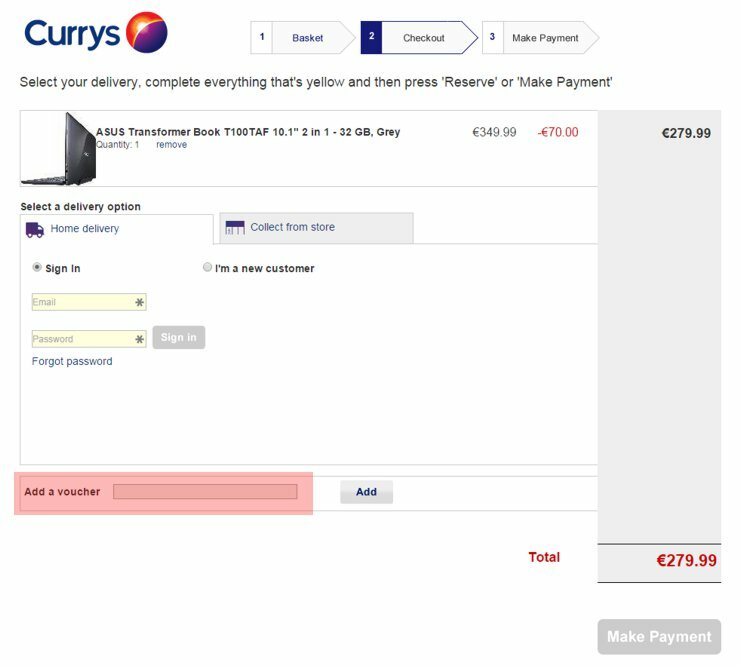 Please enter a Currys ireland voucher code directly in the 'Add a voucher' box on the basket page and activate encashment by hitting the "Add" Button. Discounts will be applied only if the code is valid and meets the minimum value required. Currys IE is a leading electrical retailer in Ireland with 28 stores nationwide, on the high street, in retail parks and airside. Currys offers over 9000 products, with ranges including Audio, Computing, Gaming, Kitchen Appliances, Photography, TV and DVD. There is a home delivery service for large products such as TVs and white goods by KnowHow specialist delivery teams which will unpackage, install and remove packaging with any large product. The service also includes uninstalling, removing and recycling of your old appliance on a like-for-like basis free of charge.